In New Jersey and throughout the United States, internal bleeding is among the most dangerous threats to patients. A person may suffer internal bleeding due to a surgical error, or experience complications resulting from undiagnosed internal bleeding. Regardless of the underlying cause of internal bleeding, doctors must identify this medical condition and take immediate action to prevent serious harm. When doctors fail to diagnose or are delayed in diagnosing internal bleeding, it may constitute medical malpractice. The consequences of undiagnosed or untreated internal bleeding can be severe, if not deadly. If you or a loved one suffered injury as a result of medical negligence involving internal bleeding, contact the experienced New Jersey medical malpractice attorneys at Fronzuto Law Group for a free consultation. Call (973)-435-4551 or contact us online today. 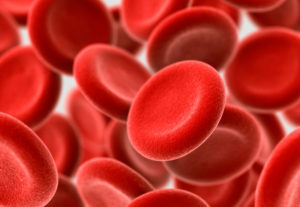 Internal bleeding refers to bleeding that occurs inside the body. It may occur in the tissues (such as those that line the heart), muscles, joints, organs (such as the brain or lungs), or in cavities such as the abdomen, chest, or head. Generally, internal bleeding refers to blood loss from some part of the circulatory system that spills into another area of the body. Depending on the severity of the bleeding and how quickly the source of the bleeding is identified and treated, it can lead to cardiac arrest, shock, and death. The severity of the bleeding is determined by a number of factors, including how fast the bleeding is occuring and the location of the bleeding. In all cases, internal bleeding is considered a medical emergency which must be treated as soon as possible. Sometimes, you can feel like something is wrong but not know why. When you experience symptoms of any kind, it is best to consult a doctor as soon as possible. It is then the doctor’s responsibility to identify potential causes of your symptoms and to make an accurate diagnosis. For any surgery, internal bleeding is a risk. As such, surgeons and medical professions must diligently monitor a variety of factors during the surgical procedure. If they fail to monitor or appropriately manage blood loss, administer blood transfusions, monitor urine output, or issue the appropriate amount of IV fluids, internal bleeding may result in serious complications such as cardiac arrest. In other cases, a surgeon’s mistake will lead to bleeding from a severed blood vessel, perforated organ, or damaged tissue surrounding the surgical site. After a surgical procedure, nurses and medical staff must be keenly aware of your vital signs. For example, if your heart rate or blood pressure decrease following surgery, this may indicate a problem like internal bleeding. Other signs of internal bleeding are related to shock, including cold and clammy skin, lips turning blue, or bluish-colored nails. Failure to identify internal bleeding after surgery may constitute postoperative negligence. Undiagnosed and untreated internal bleeding can cause serious injuries, or in the most tragic cases, lead to death. Victims of medical negligence involving internal bleeding, including those who suffer blood loss due to surgeon’s mistakes, have the right to recover damages. If you or loved one suffered harm because of medical malpractice involving internal bleeding, please contact Fronzuto Law Group at (973)-435-4551 for a free consultation. Our skilled New Jersey internal bleeding attorneys will review your case and determine if you have grounds for a lawsuit. You can also read more about internal bleeding by clicking here.